Stock up on moleskin and start breaking in your walking shoes, The Long Walk is ON – July 26th-29th! Once again, Susan Robb will lead 50 trail trampers on a 4-day, 45-mile pedestrian adventure through the cities, suburbs, farmlands, and forests of King County using the Regional Trails System. In this work of land art that combines elements of performance and social engagement, Susan and the group will slow down, delve deep into the meaning of landscape, and create a temporary, interstitial culture. Creative projects for this iteration of The Walk will include Beers Made by Walking by Colorado Springs-based Eric Steen, Seattle artist Web Crowell’s bicycle-driven seltzer delivery system, Art House Brooklyn’s Sketchbook Project, and much more. 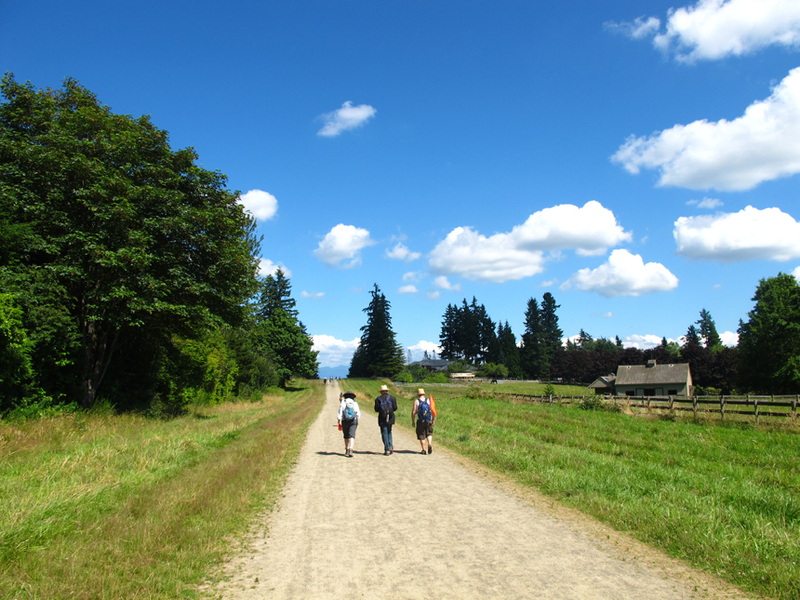 If you don’t feel up to four days of trekking, you can always join in The Long Walk’s exploration of place at McCormick Park in Duvall for the open-to-everyone Mid-Point Mash-Up on Friday, July 27th. This year’s Mash-Up will include workshops, installations, and a bizarro variety of musical theater performed by The Snoqualmie Floodplain Cabaret (including Jed Dunkerley, Sari Breznau, and players from across the country) that calls for tight harmonies, odd props, spontaneous fits of landscaping, and pianos found in unexpected places (look up?!). Registration for The Walk opens in mid-June. Details will be published here and on 4Culture’s next e-news http://blog.4culture.org. Participation is free, but limited to 50 people on a first-come, first-served basis.